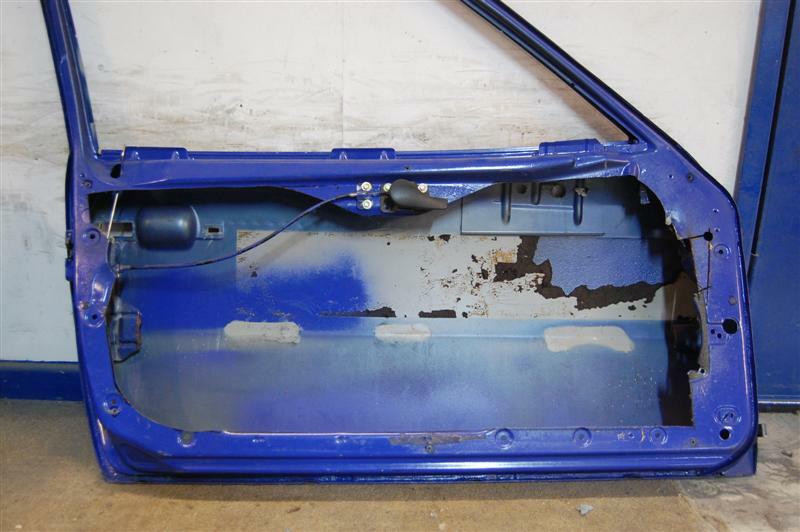 are still about and not like most rust buckets from the 1980’s ! 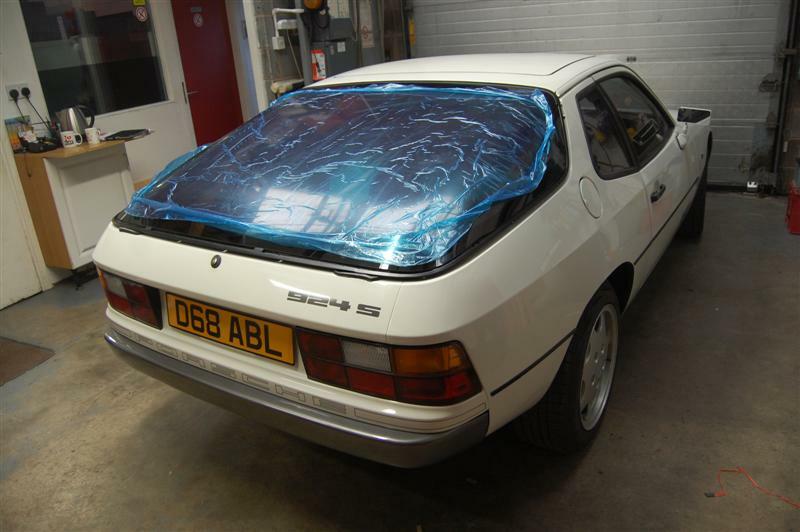 so no bodywork repairs or paintwork was required. 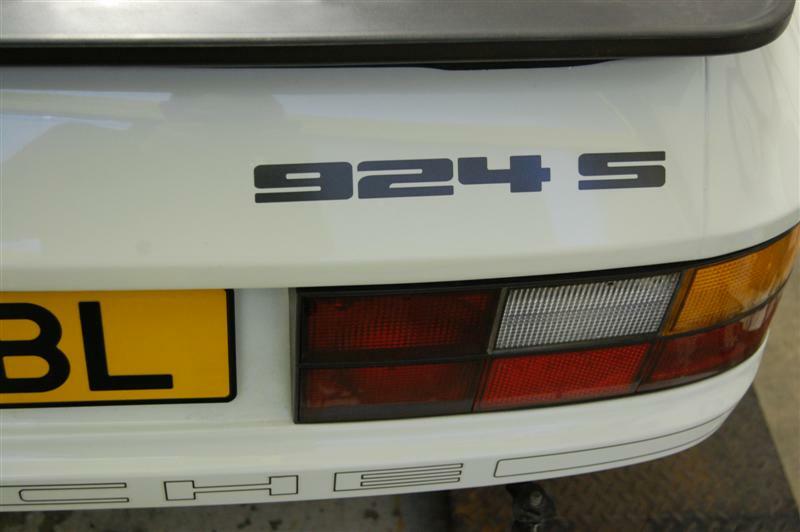 Paintwork by AutoKraft, and a Decal added, There goes keeping it looking original ! 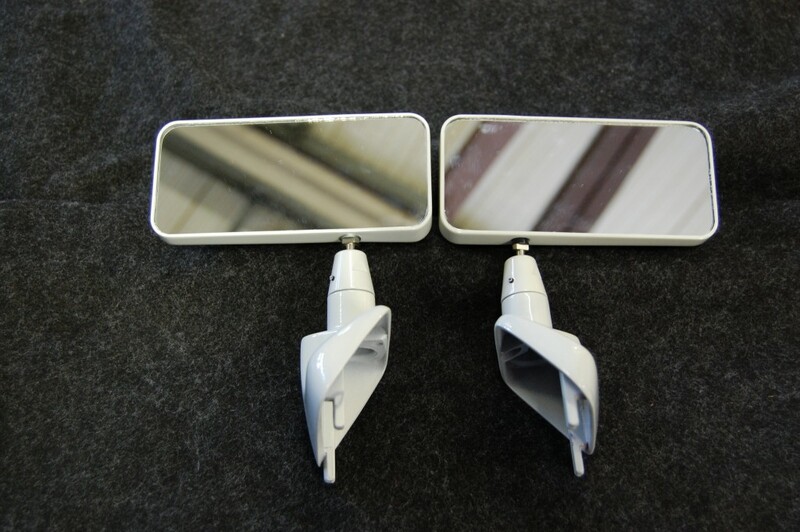 The originals Mirrors are electrical and heated, and very heavy at 3kg each! 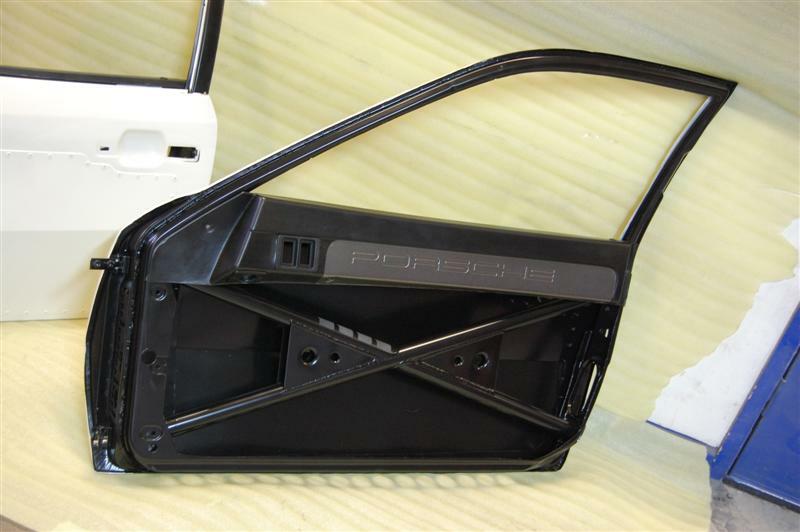 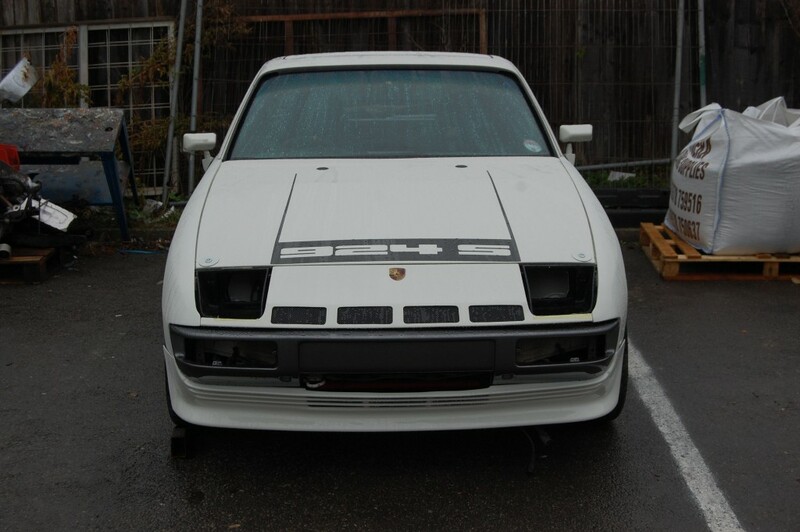 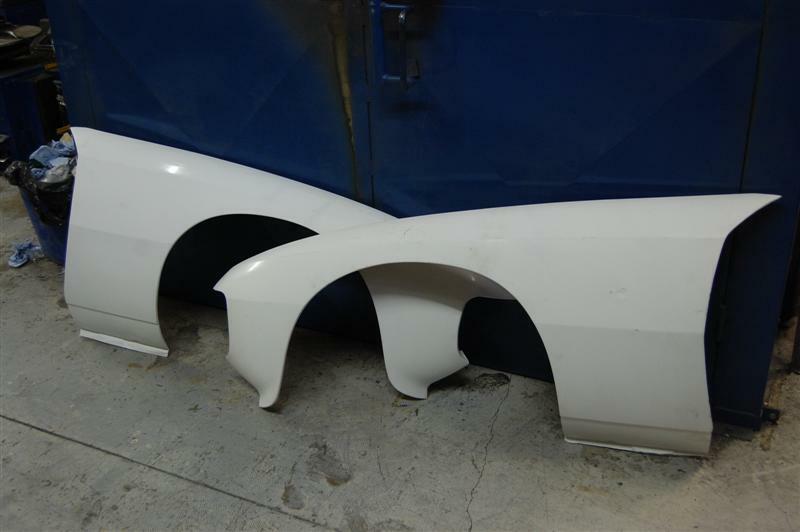 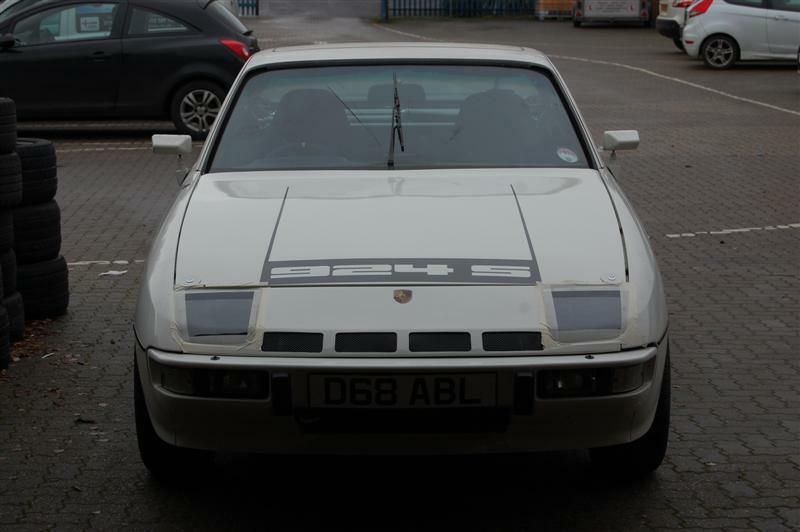 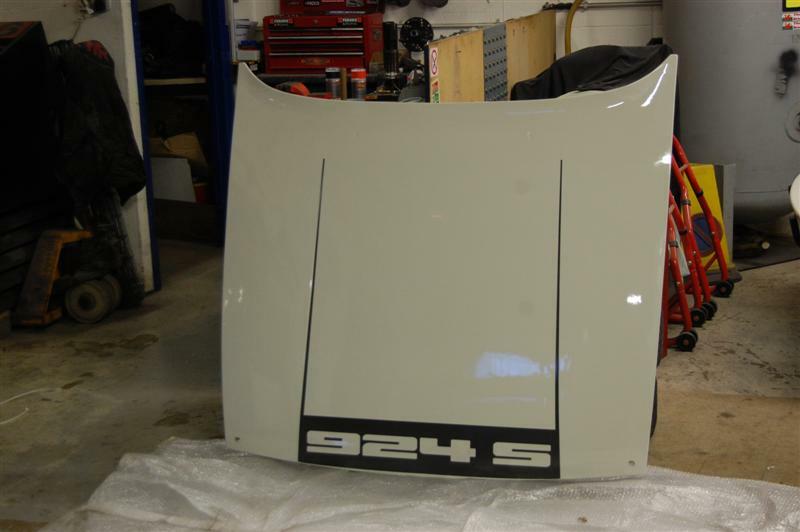 Then Painted & Lacquered by TWR in Porsche Alpine White………. 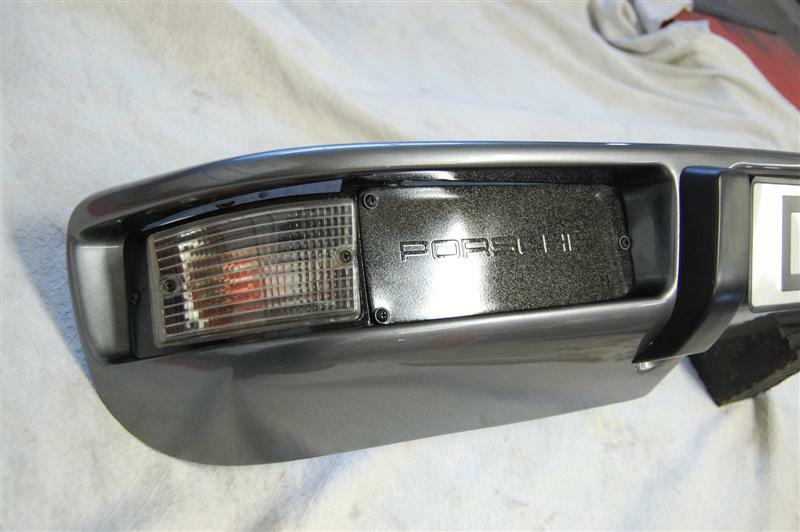 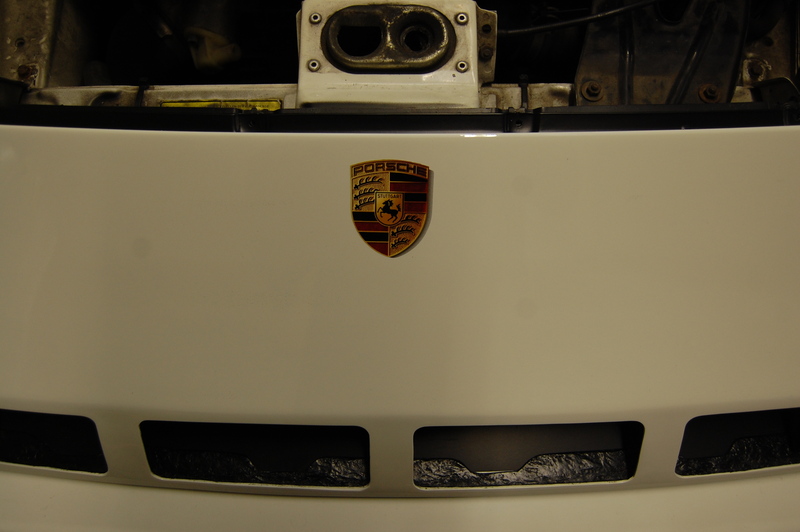 Genuine lightweight Porsche crest !…………it’s a Sticker Porsche use on the 911 Gt3…. Mesh grill and a bonnet decal, GTS lights also mocked up…. 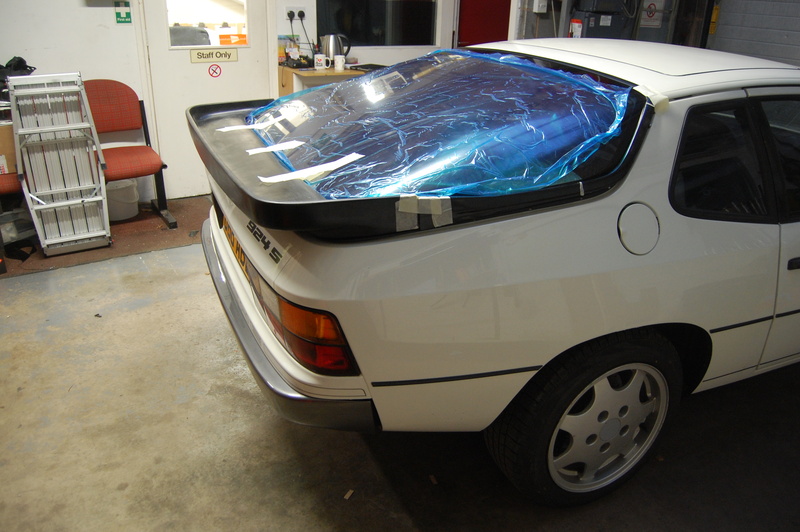 Fibreglass and poly lenses, Hella Lamps…approx. 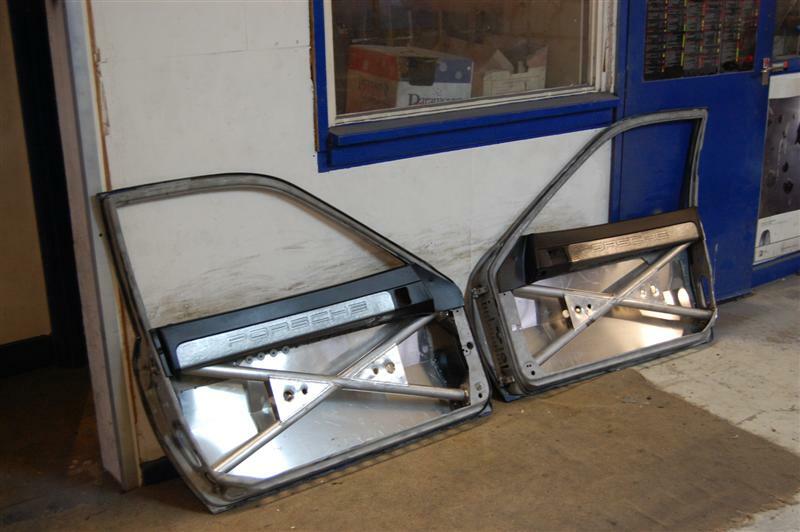 3kg the pair compared to the standard pop up light units, steel bar and electric motor which weight about 15kg ! 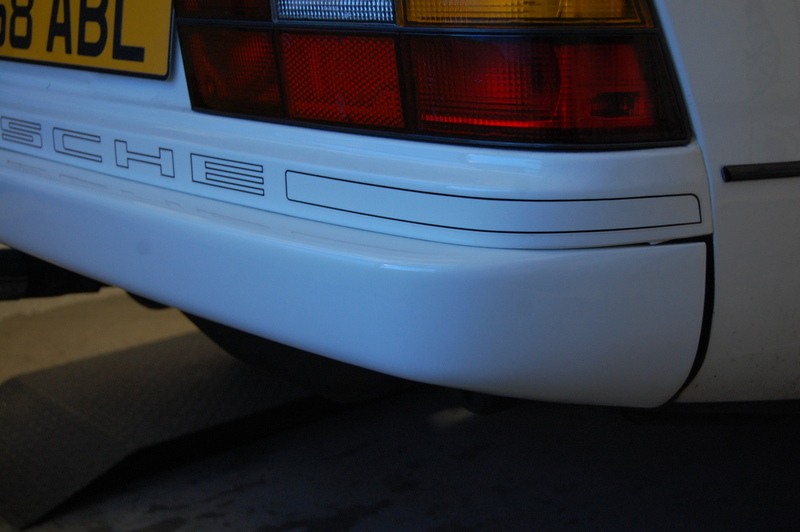 Fibreglass rear bumper replacing the plastic original, again half the weight ! 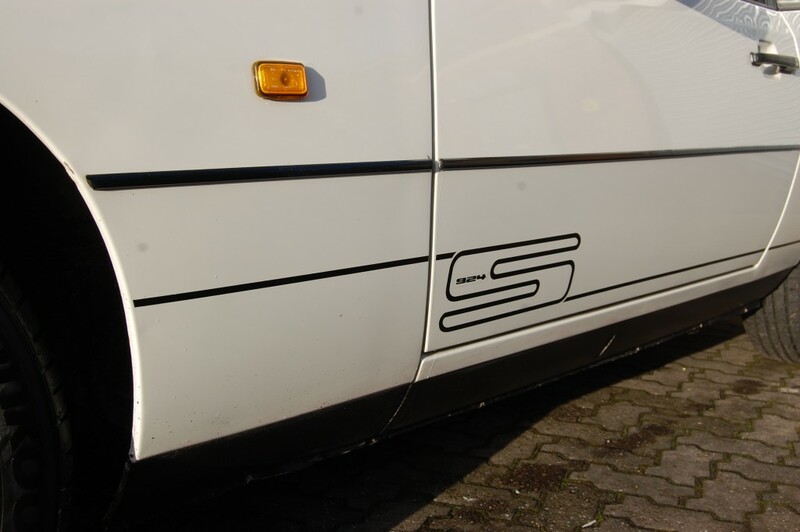 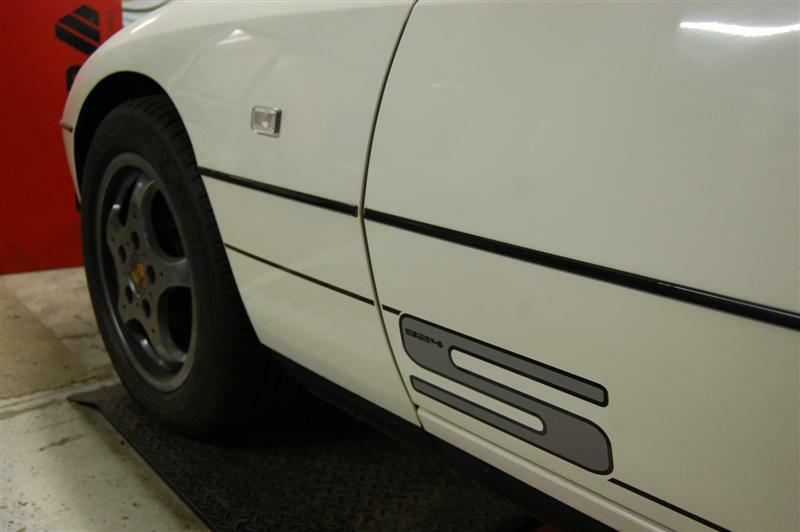 Custom side decals “S” in a grey with 924 logo inside…. 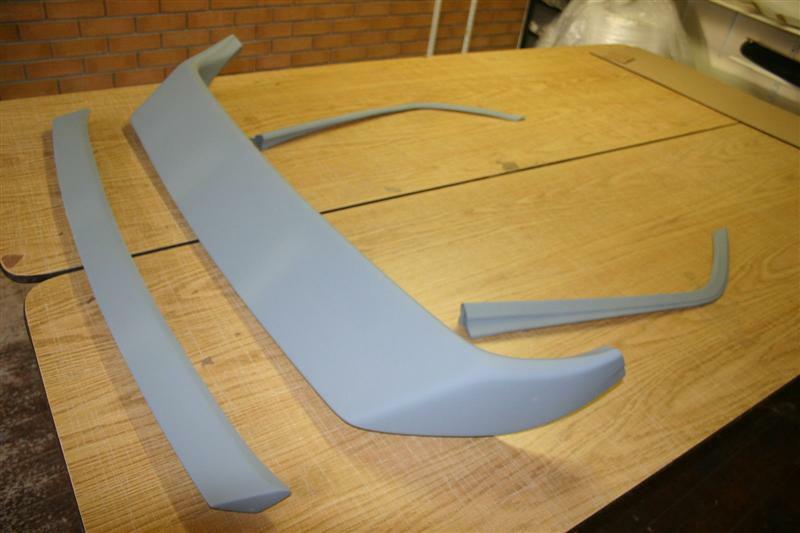 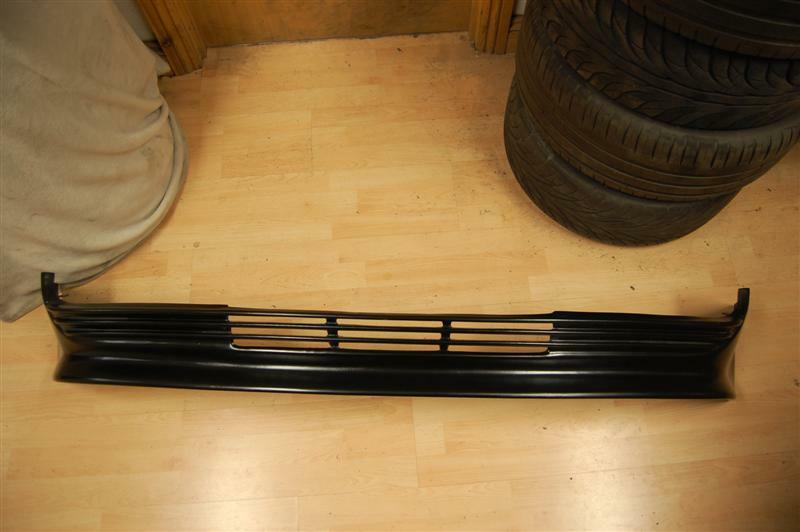 Fibreglass (Zender Style) Slatted Front Lower Valance……..
A Change of plan found another solution, which not only looks quite bespoke and different, but this product is 4 separate pieces which all fix individually to the original frame, and are easier to fit than the original interlocking 944 S2 / 968 Bridge Spoiler. 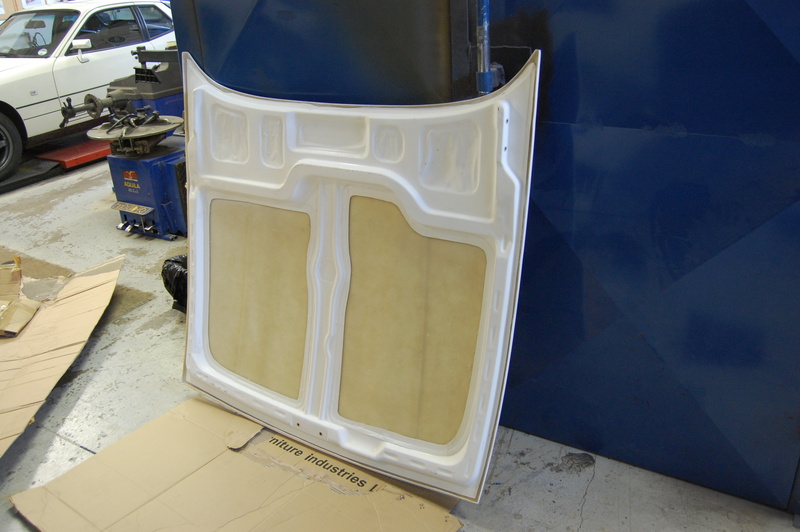 Made in the Uk, Stuart from Carlton Motorsport (Barnsley) made me a lighter fibre version, Primed ready for a quick prep and Satin Black. 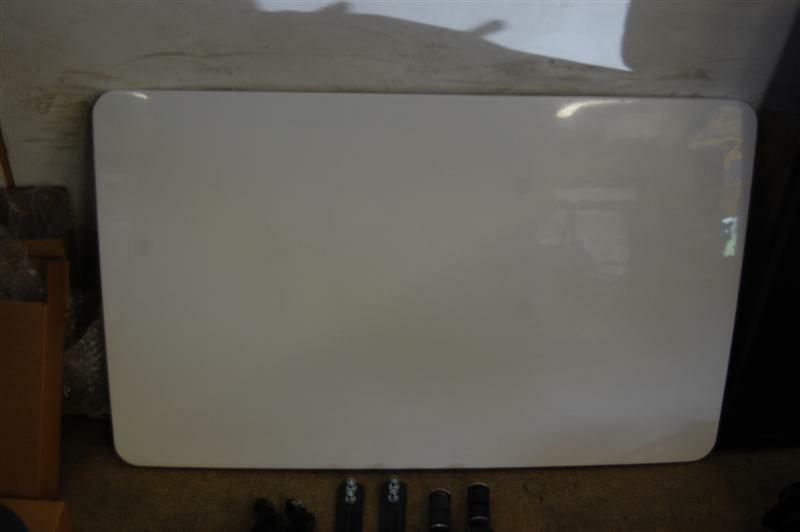 Here’s a mock up on the Lexan hatch to check the fit…. 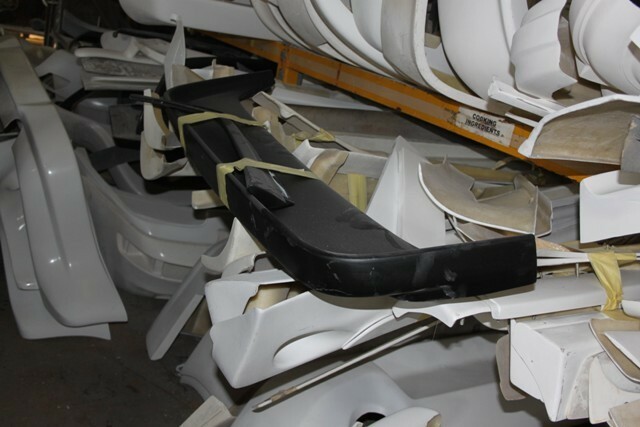 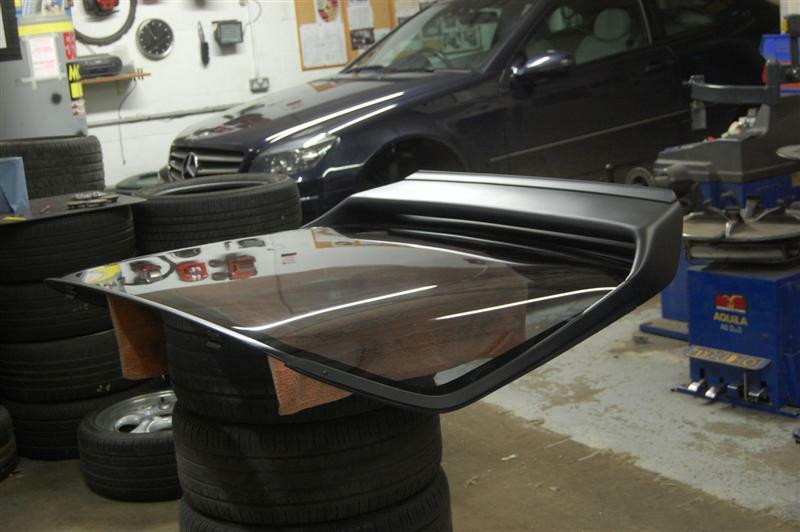 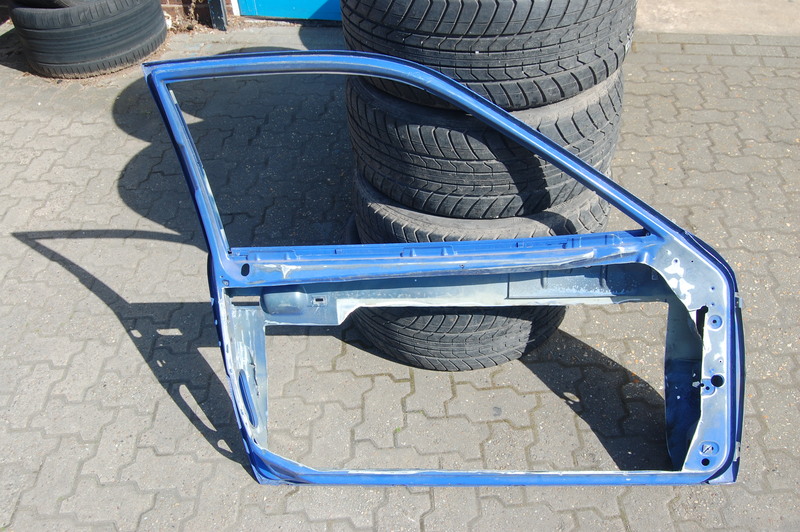 Then the Bumper Colour went Grey………. 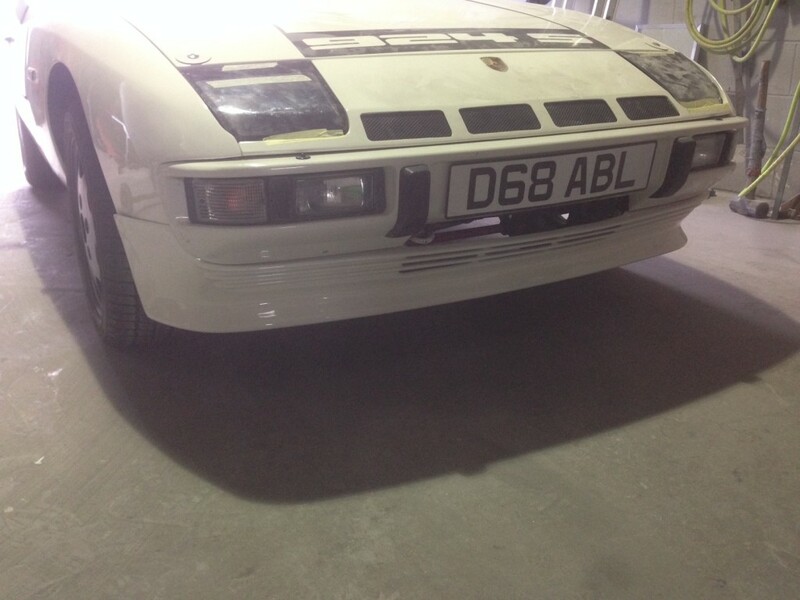 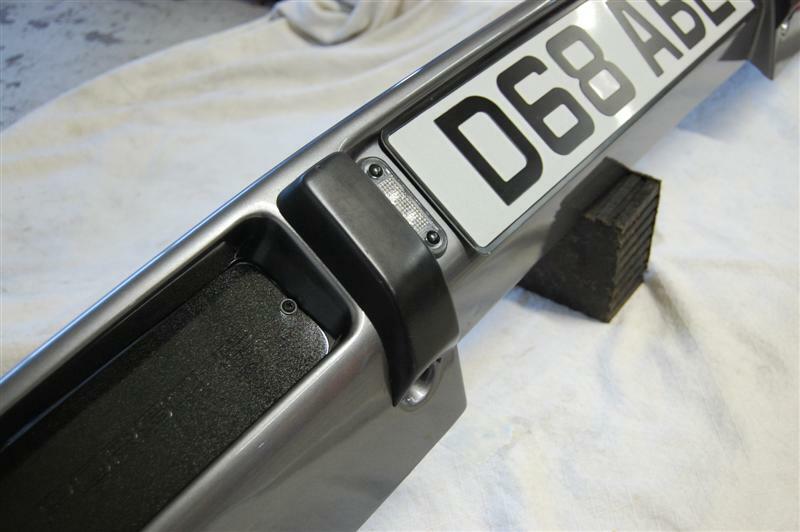 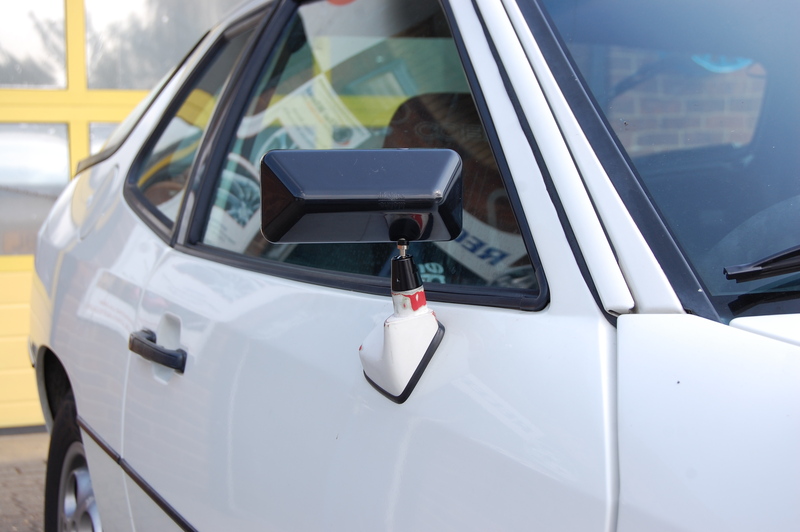 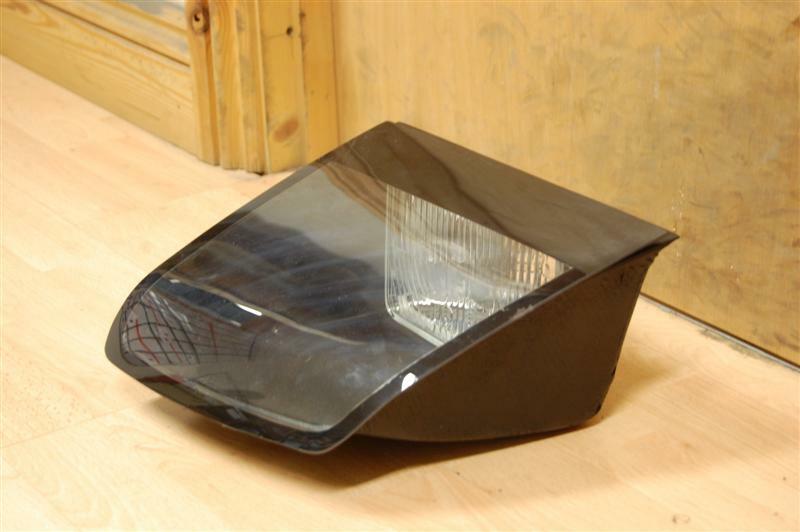 instead of using the original driving lights (1.5kg a pair) and LED Sidelights either side of the number plate…….. 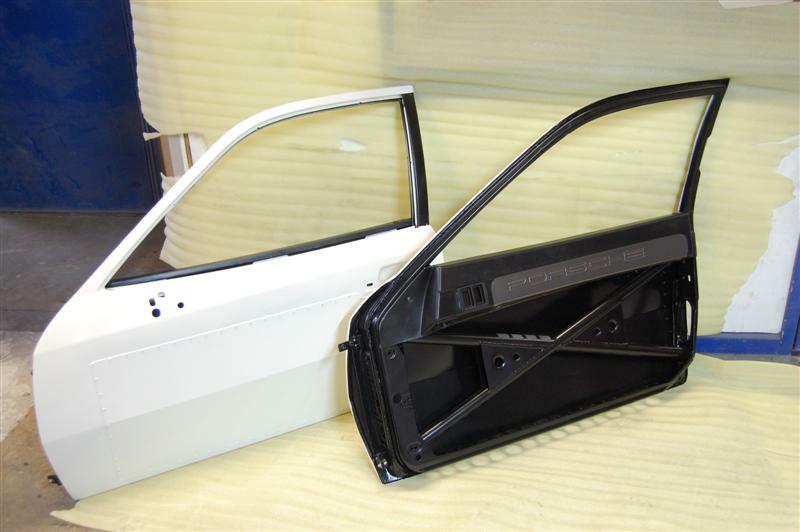 The Door windows, quarter side and rear hatch are all a lightweight Lexan, Hard coated for Road use, and with a light grey tint. 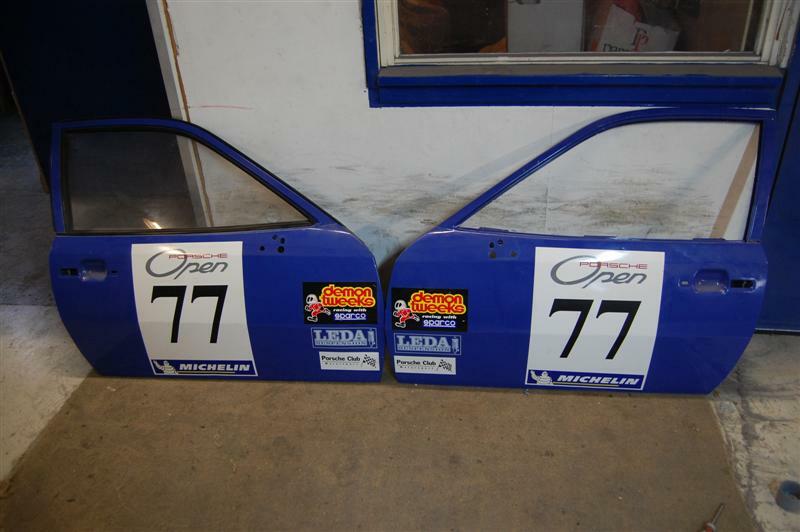 A pair of Steel doors were sourced, which had been used on a Race car & lightened..
doors because they do not fit very well..
is to replace this with an Aluminium panel riveted on. 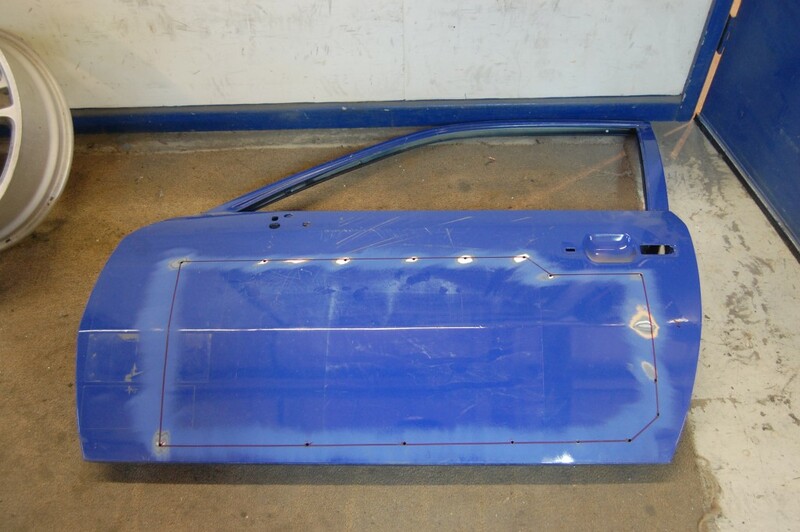 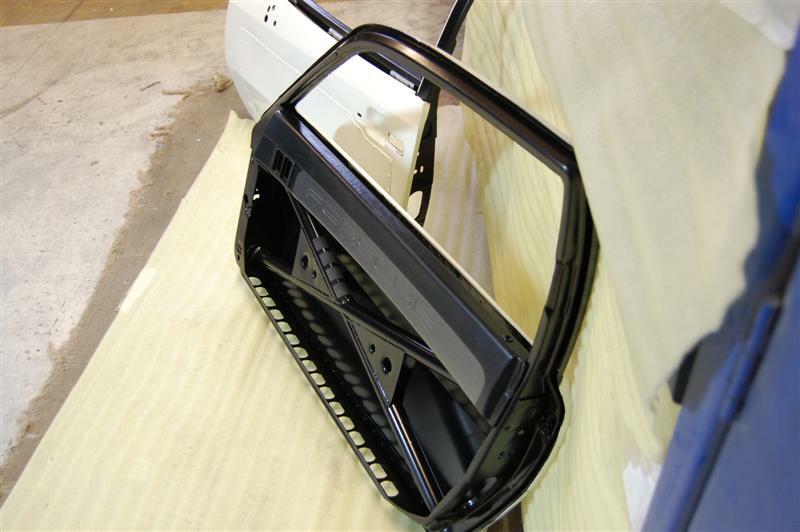 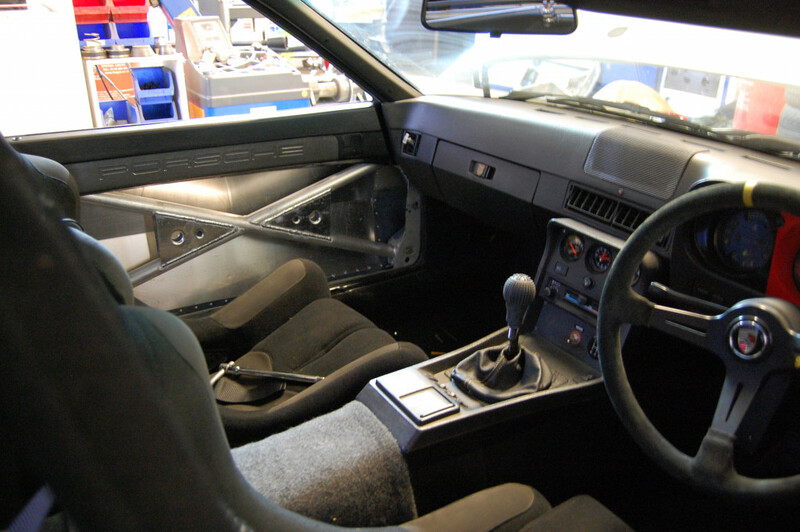 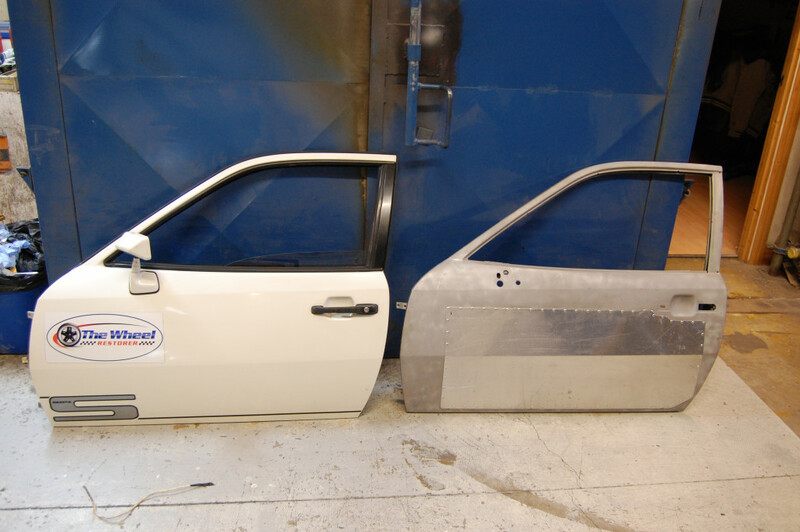 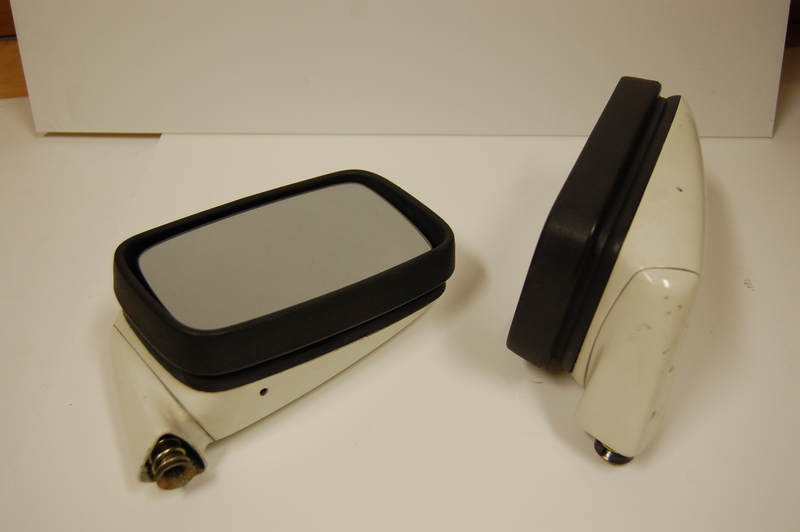 Trial Fitting, original door off…..
an internal door pull + Lexan window and rubber seals etc.. 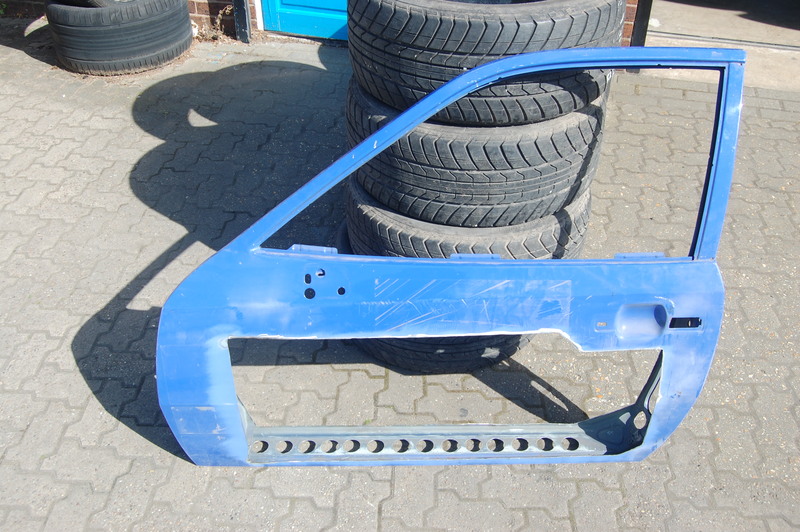 This should add about 4kg, which will bring a final weight to 17kg ! 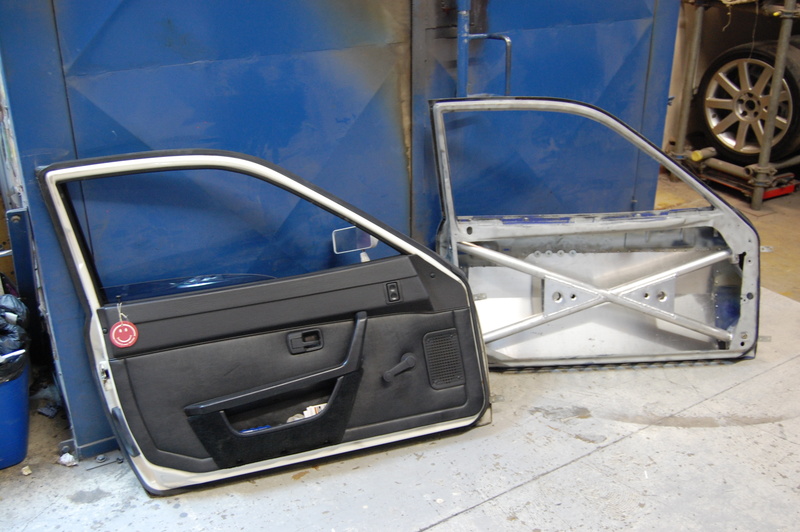 So 20kg saving in total for the pair is a fairly good difference. 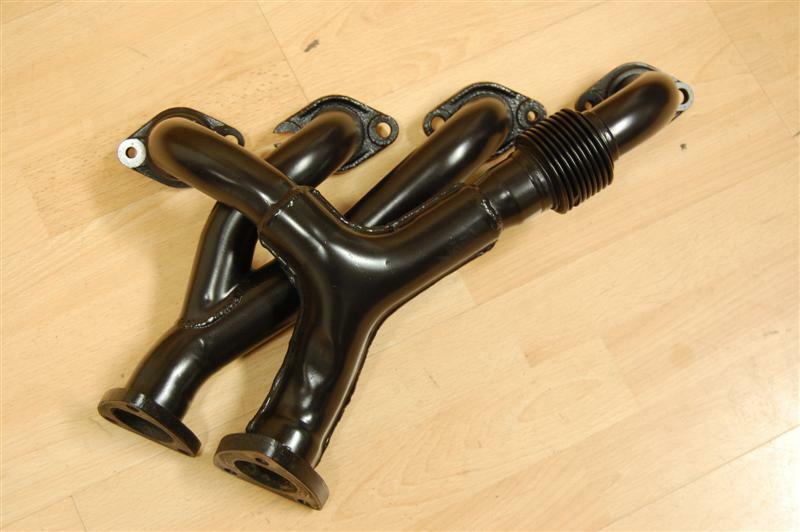 I sourced a 2nd hand tubular steel manifold (A lot lighter @ 4.5kg) from the 944 turbo which has a flexible convoluted section on clyinder No. 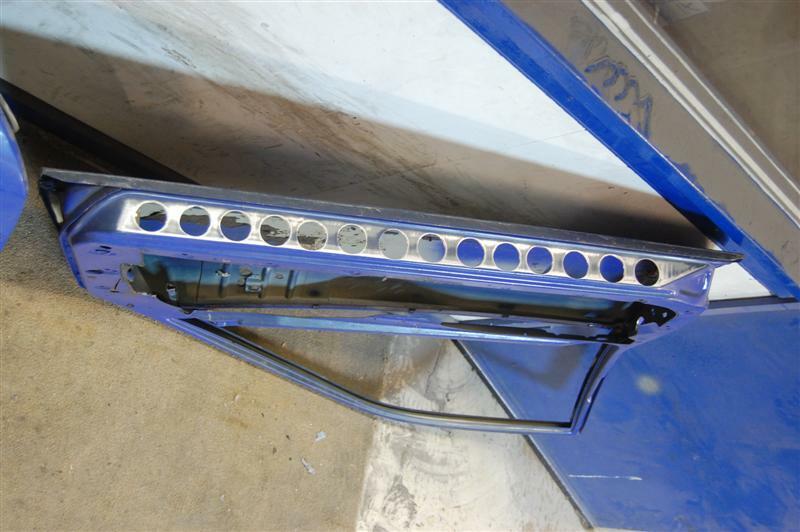 1 to avoid it cracking. 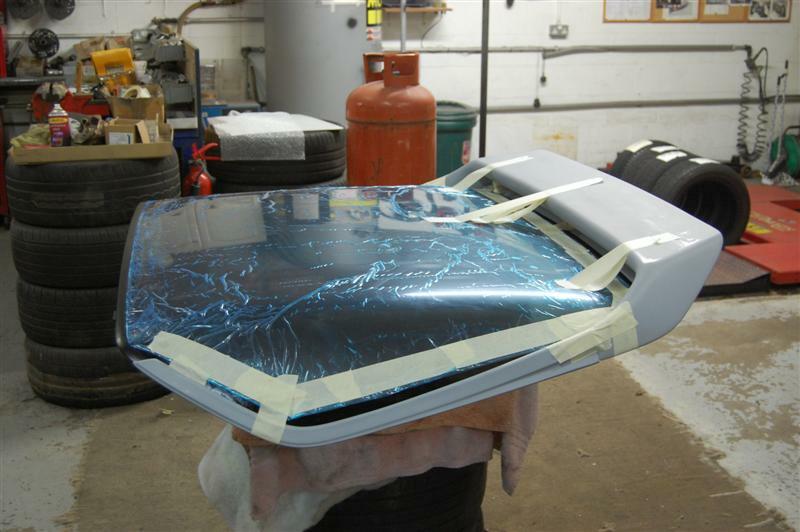 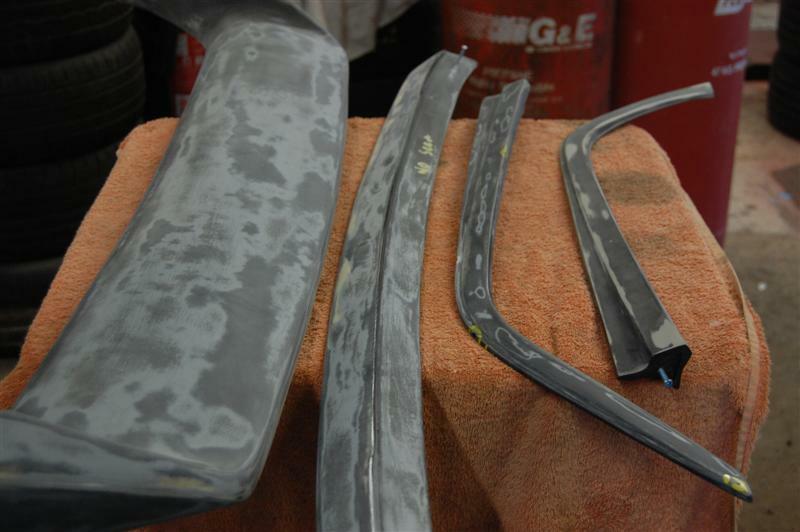 But the Painted surfaces were so thin that just handling it was “marking it” easily….so I wanted a better long term solution……………..
Their coatings utilise Zircotec’s own proprietary Thermohold® technology and are applied using their own in-house highly optimised plasma-spraying process. 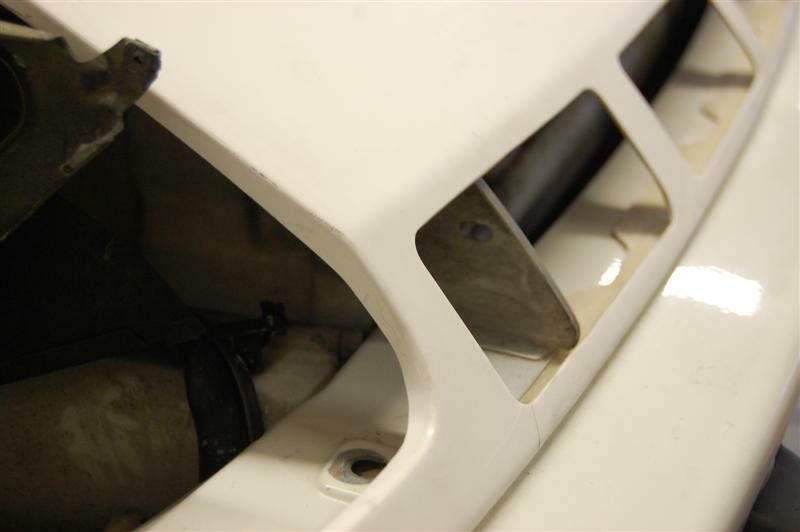 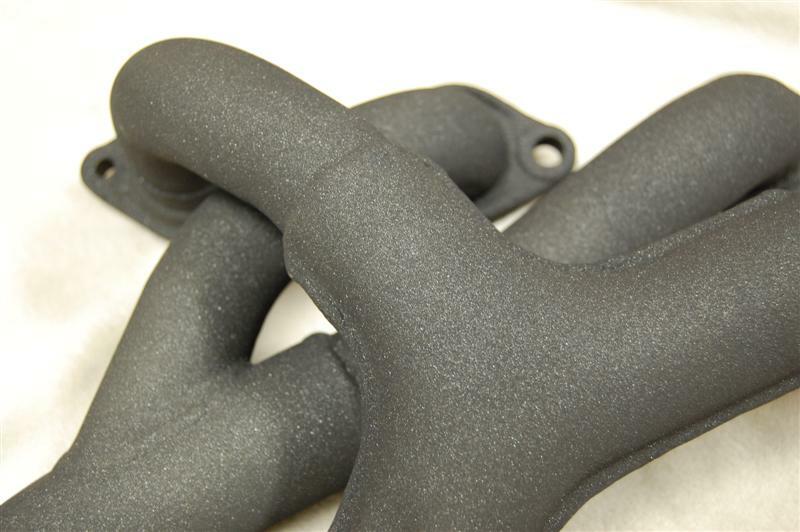 This coating Provides an extremely hard, lightweight yet durable ceramic coating that is highly resistant to vibration, mechanical damage and thermal shock whilst also protecting the underlying component from corrosion. 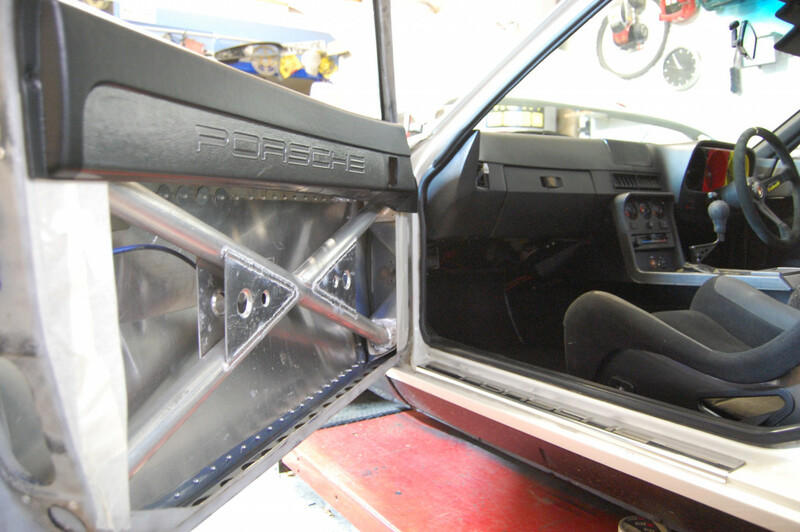 It feels and looks tough, and has the performance added benefits……..Perfect! 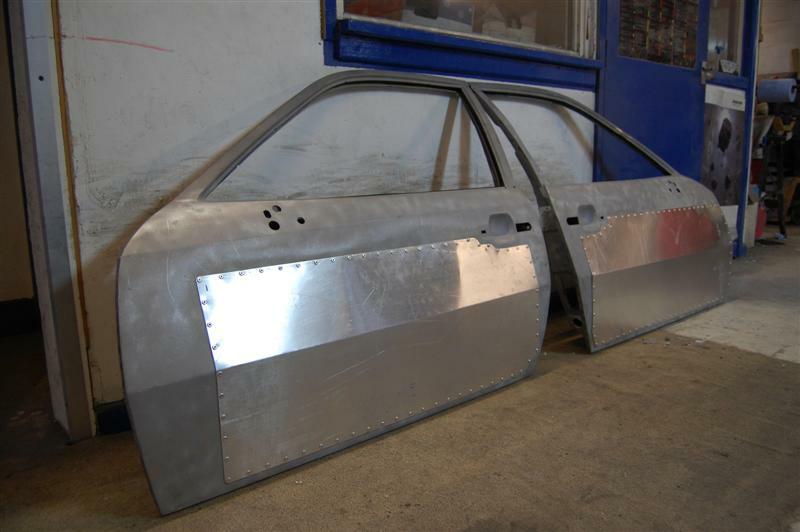 I got another made at 7.5kg by cutting off the heavy box and using a flex and a red cherry bomb straight through design, I also had a Lambda sensor boss welded on for a co2 sensor.. 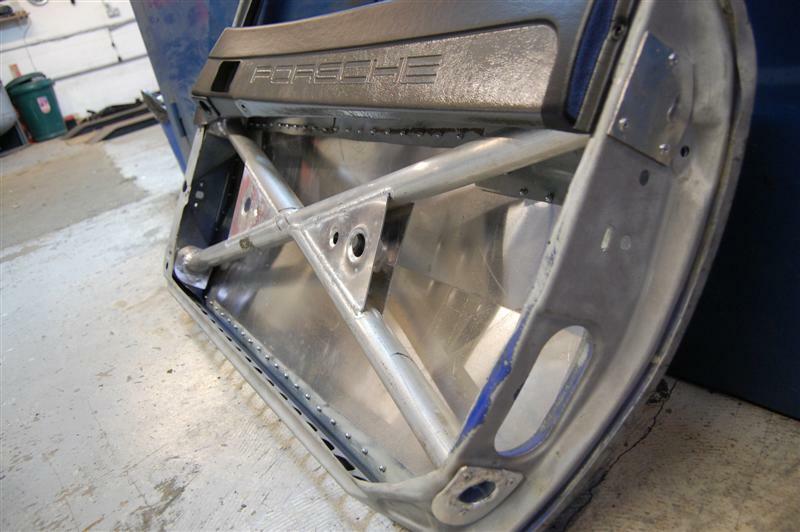 But then I’ve found a company in Finland that make lightweight systems from thin gauge stainless steel. 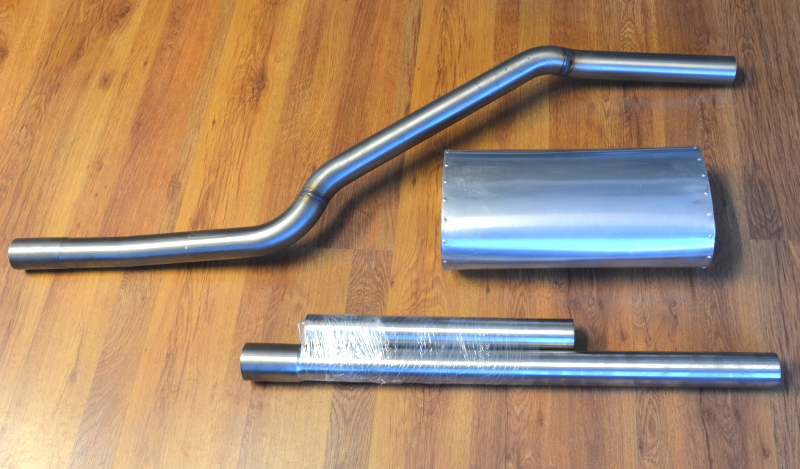 Markus Martelius reccomended a thin wall (1.2mm) Stainless Steel tube and hence made me a (1) box system with an Aluminium core and lightweight connections. 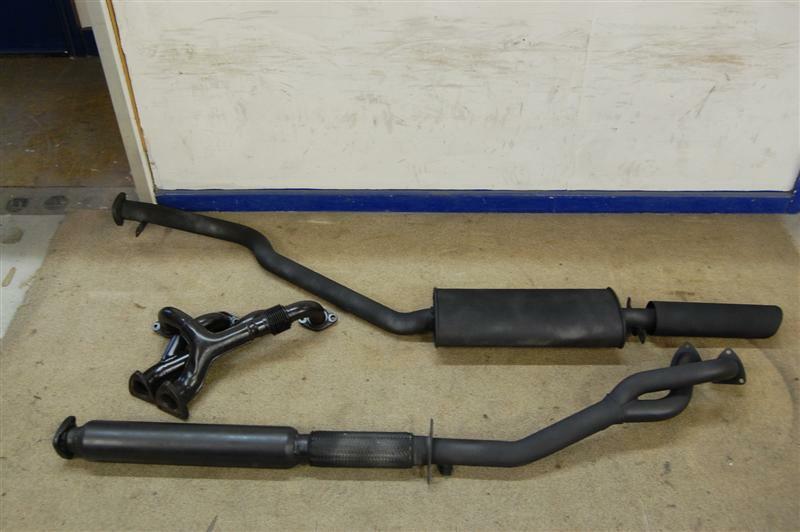 The previous lighter 2 box exhaust system was 16.5kg and the calculations for this 1 box lighweight tubing & (1) Silencer system are 8kg ! 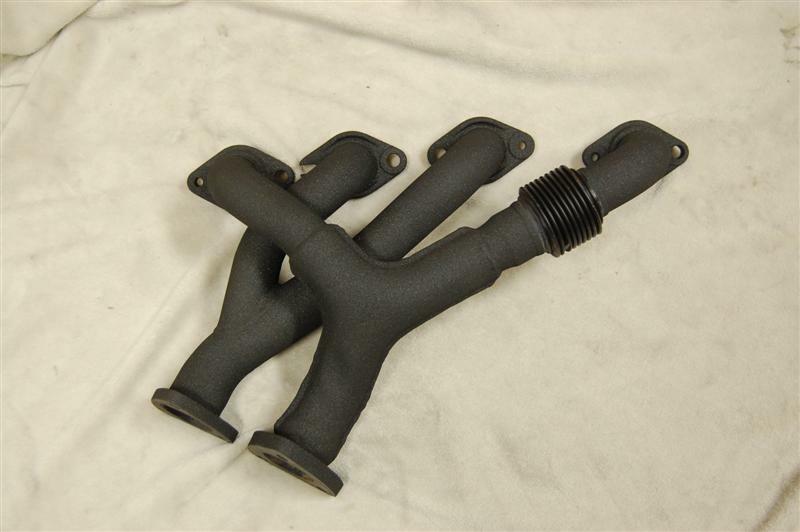 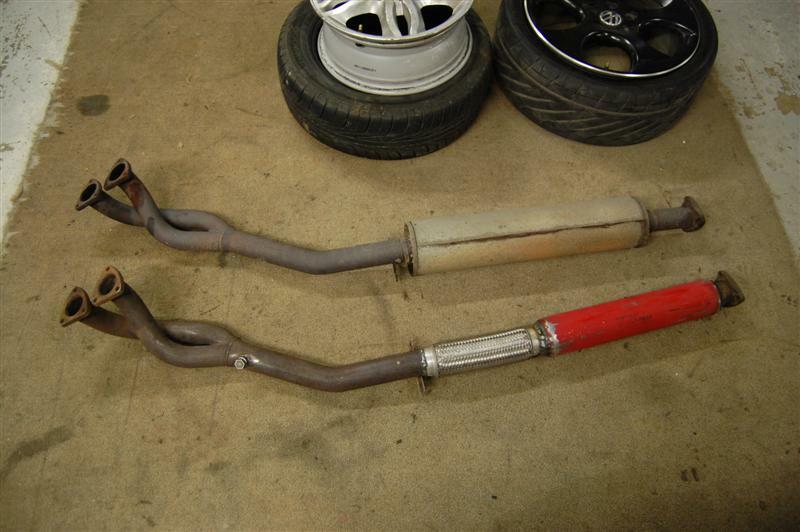 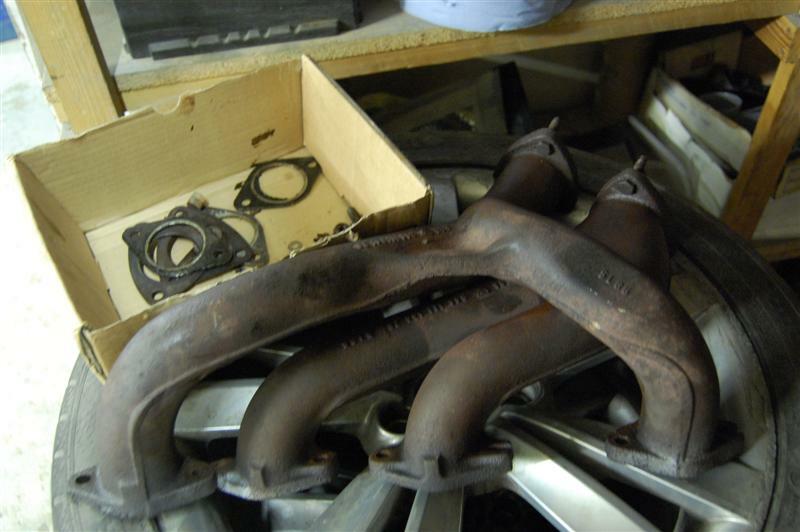 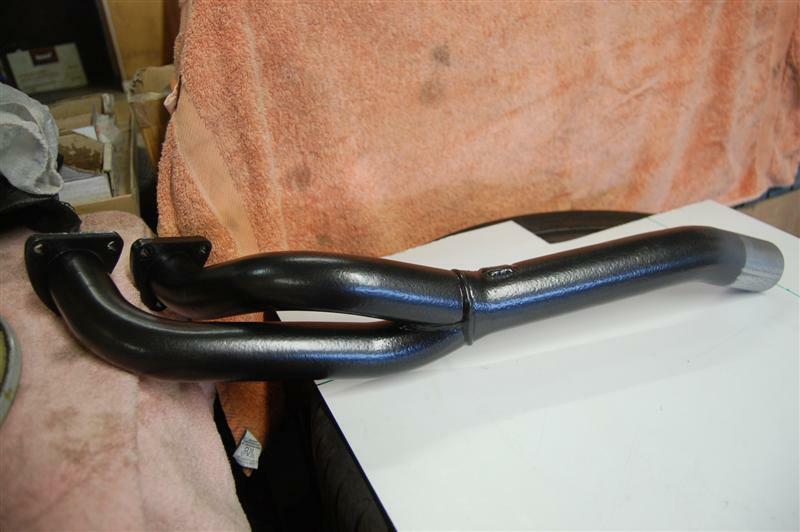 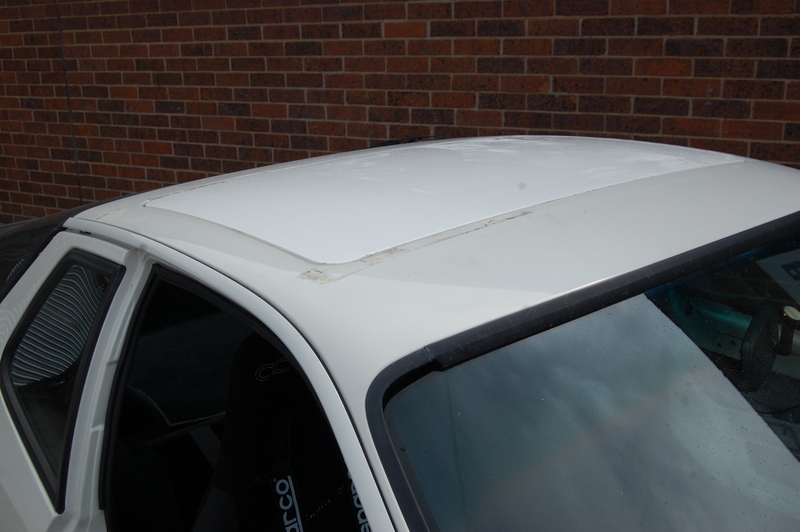 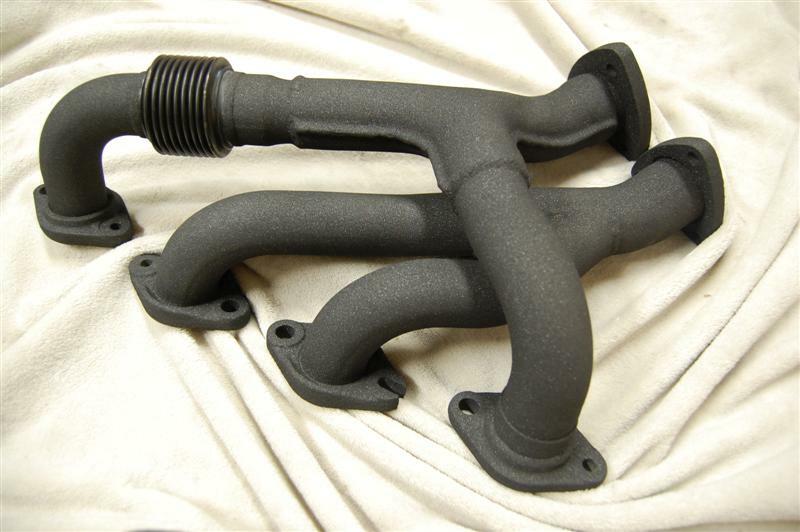 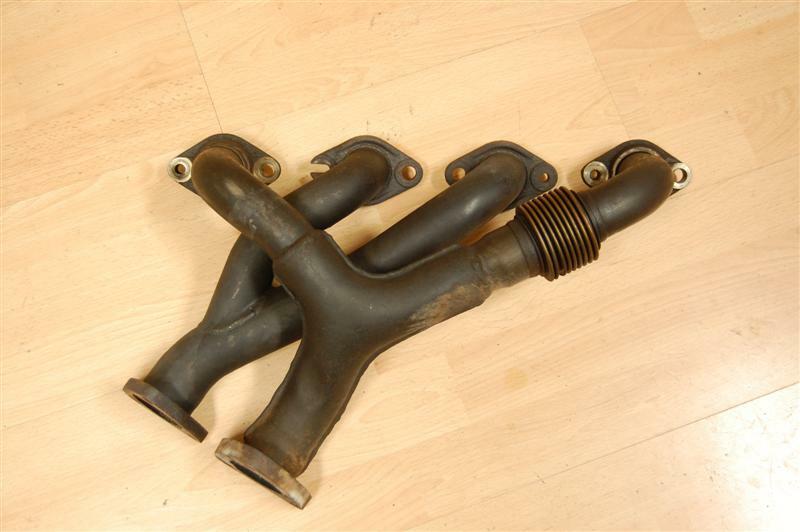 So if we take an original complete system (Inc manifold) which was on this car from new in 1987…….. 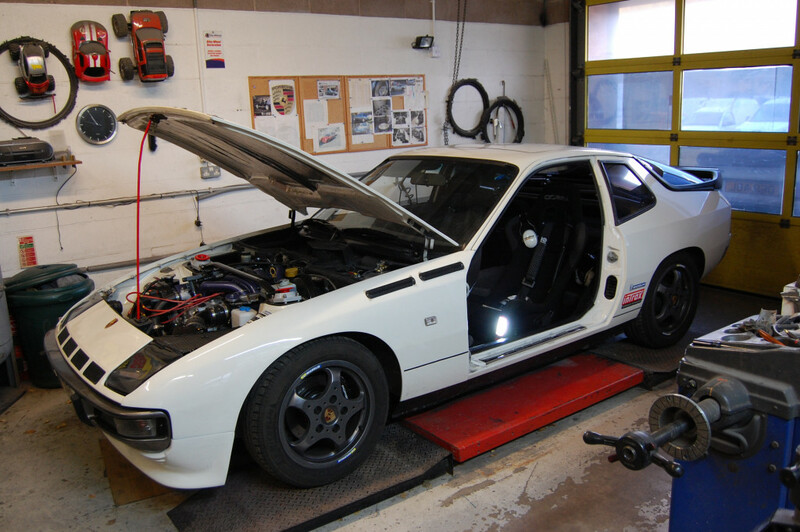 The summary is I’ve gone from 28.5Kg to 12.5kg ! 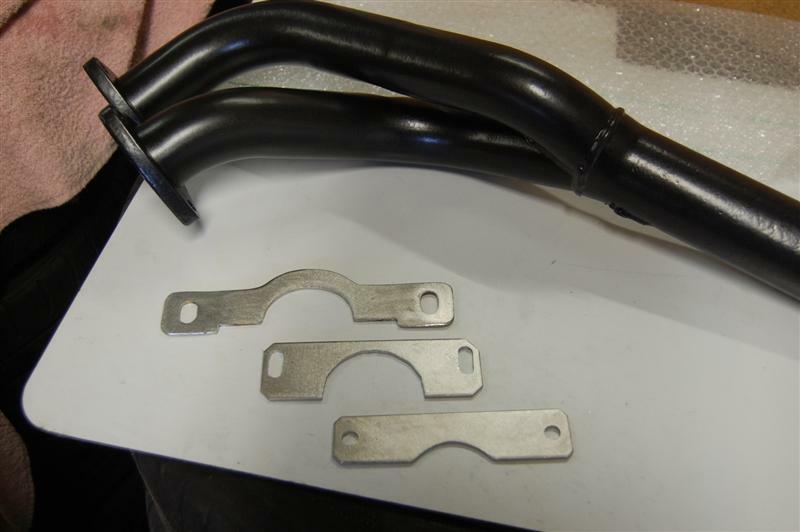 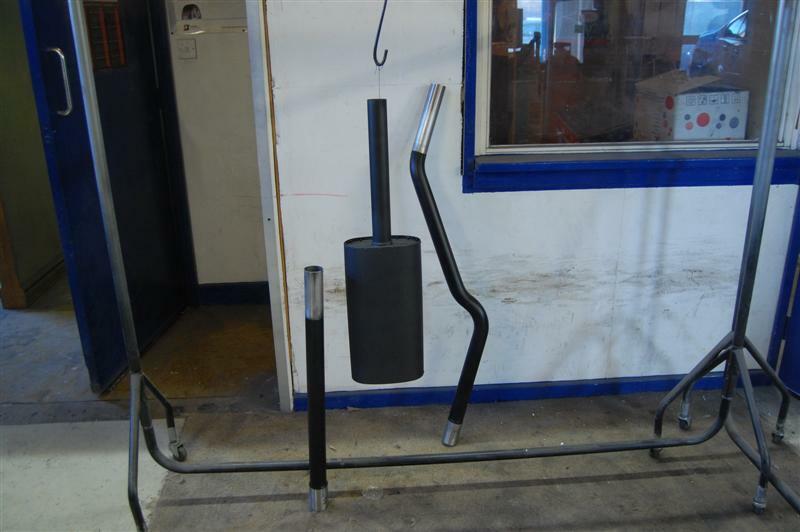 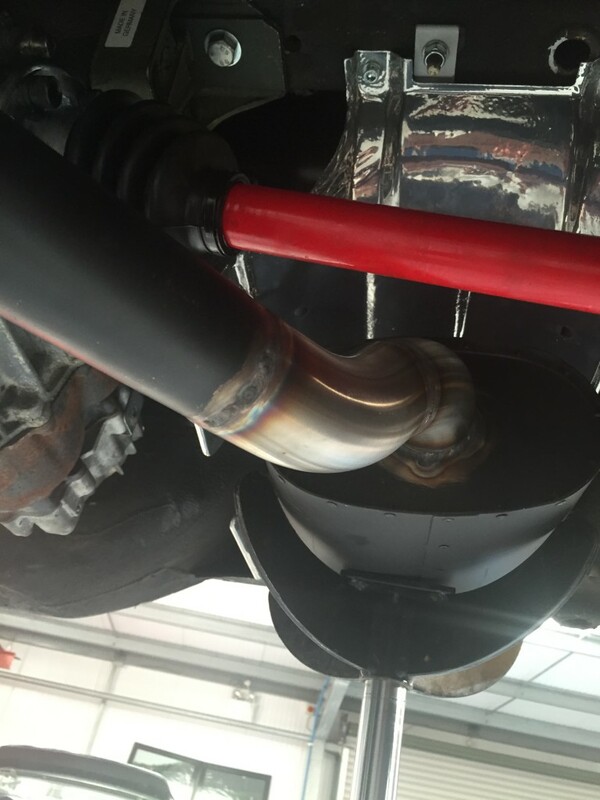 JEMX Fabrication has made Stainless Hangers for the new system…….